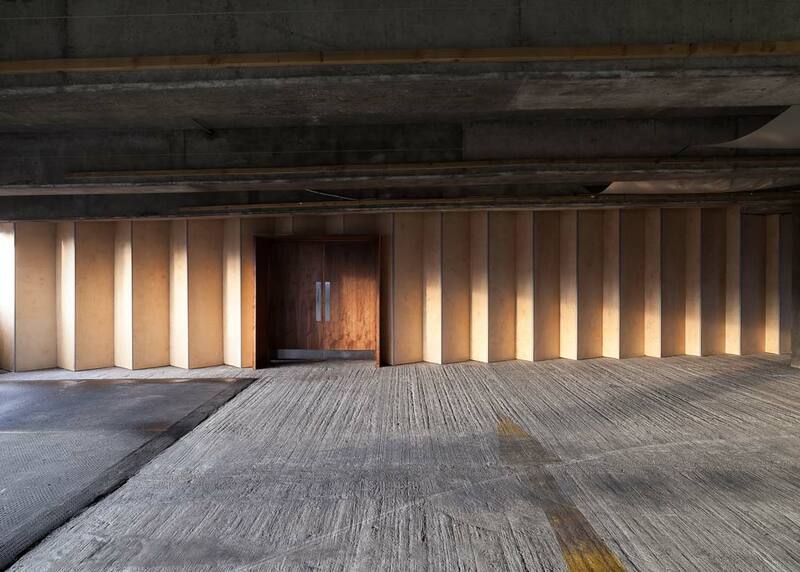 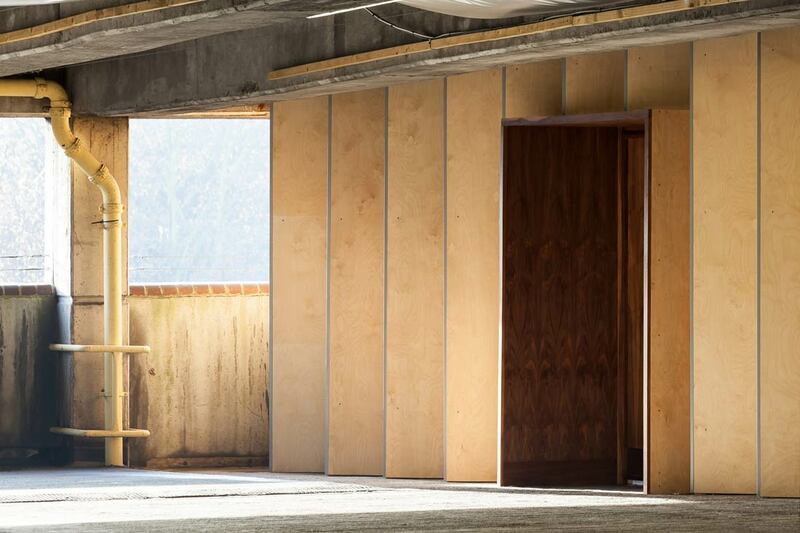 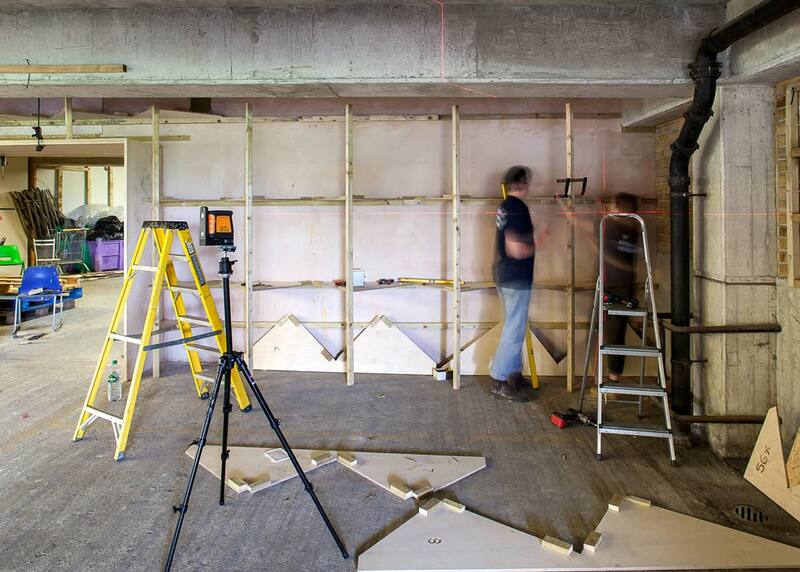 Direct commission for a new acoustic wall to improve the performance and appearance of a disused car park space, now used to host concerts from the Proms to local school groups. 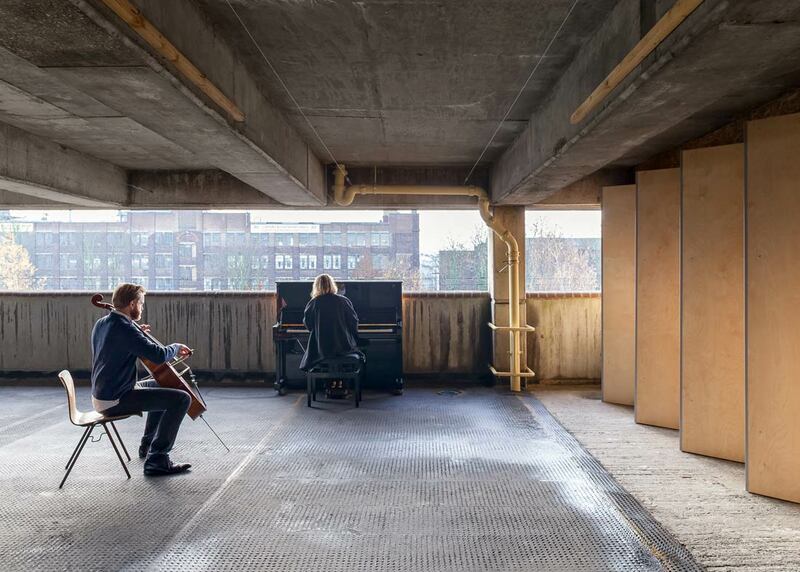 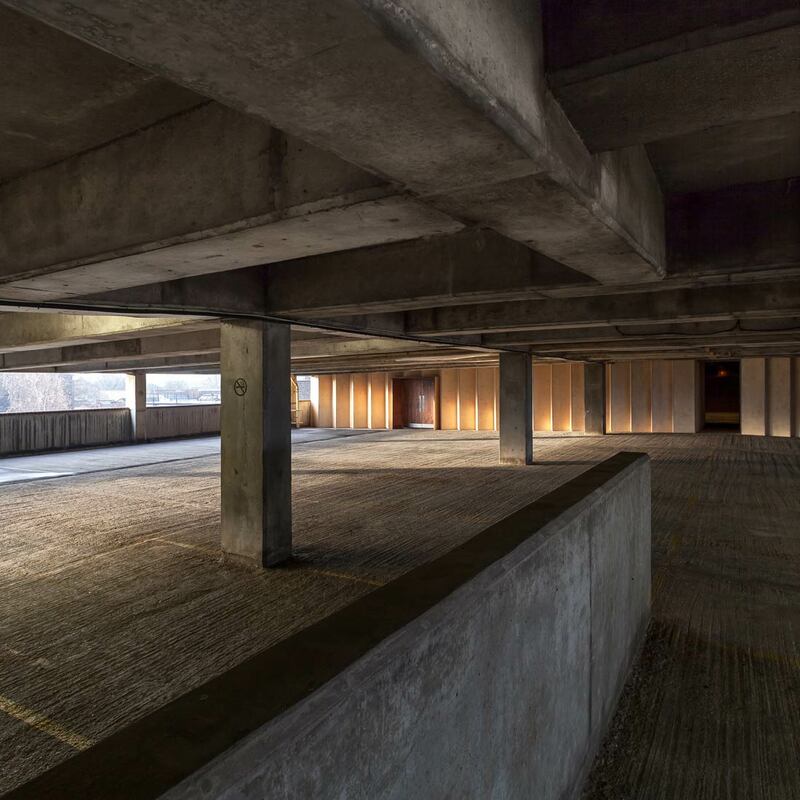 The project was for local not-for-profit commissioning organisation Bold Tendencies, and was developed with resident orchestra Multi-Storey and acousticians in order to ensure performers and large audiences could better hear the perfomances. 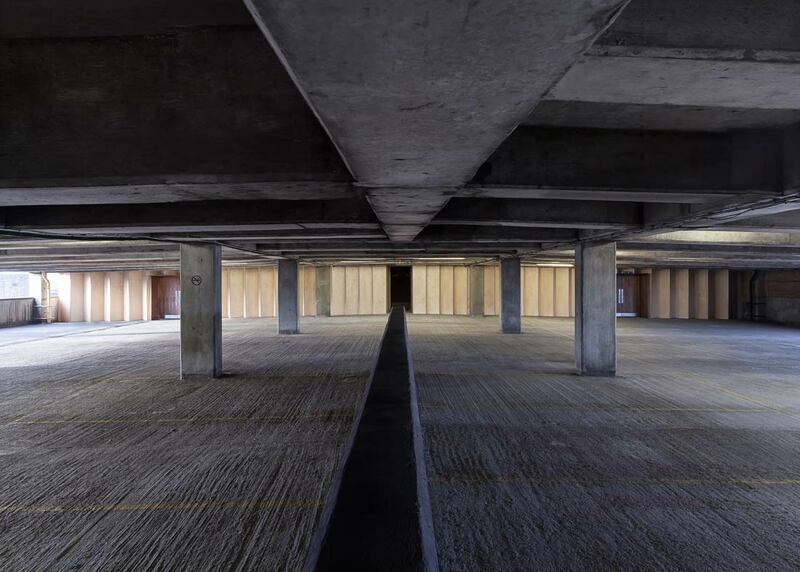 Shallow valleys in the centre gradually unfold accross the width of the car park space into much larger, deeper bays at the outer areas. 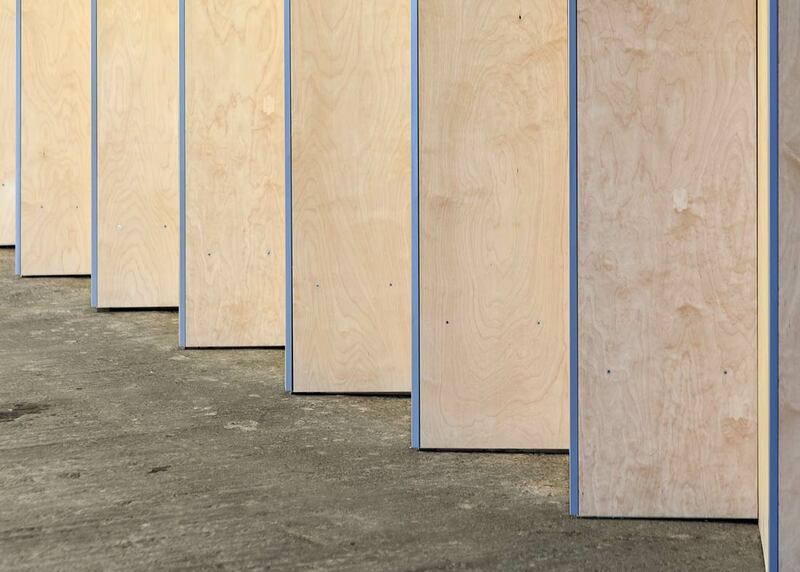 Birch plywood is the primary material, used in its natural state to bring warmth to the in-situ concrete surroundings. 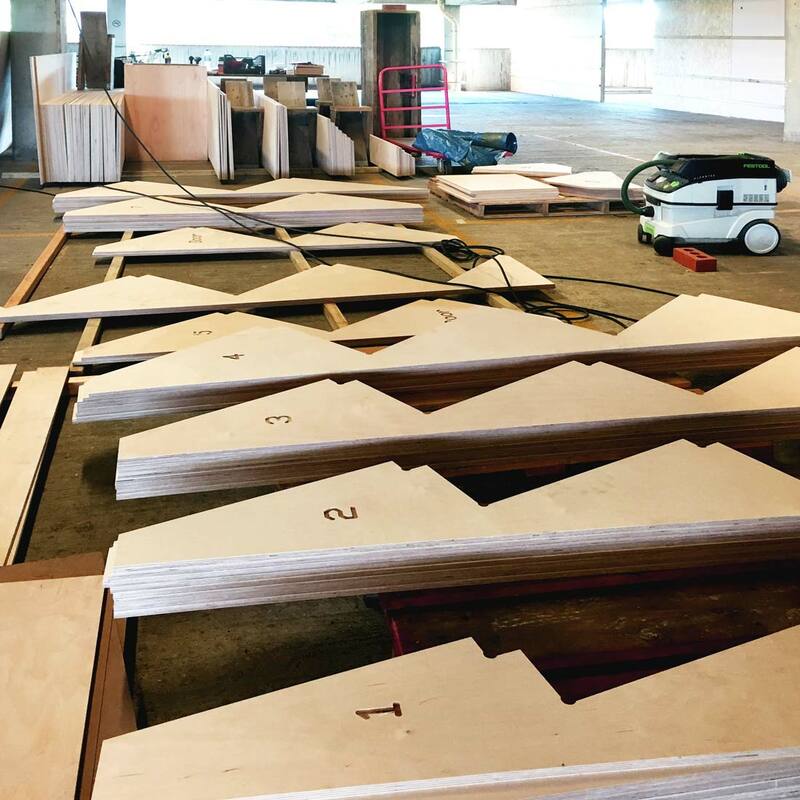 The angled plywood units have an anodised aluminium profile at the corner junction, and are fixed back to a precise CNC-cut zig-zag substructure. 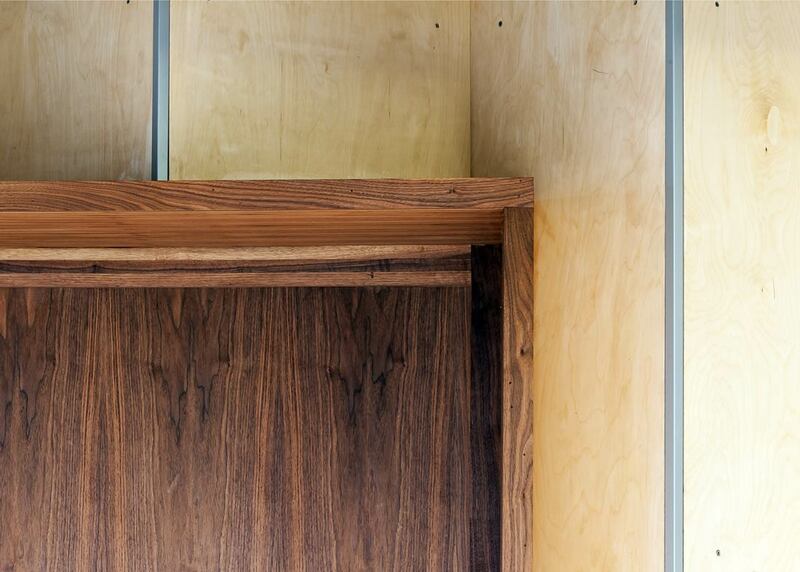 Two double doorways to the fire exit and “green room” are made as richly textured walnut-lined portals. 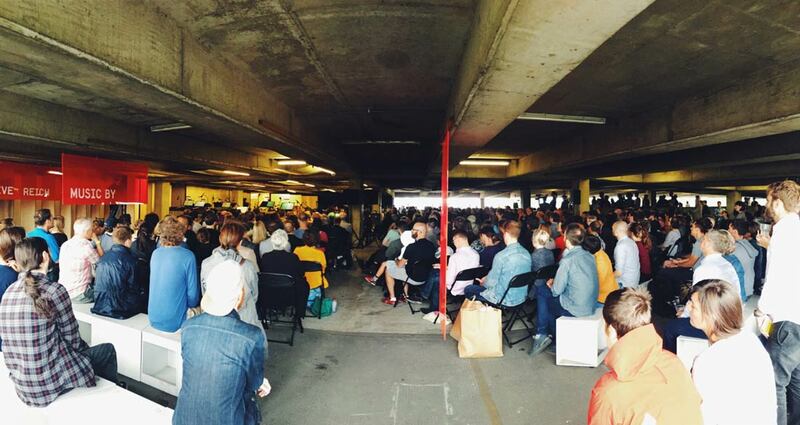 Images Copyright Peter Landers, Mireia Bosch Roca, and crowd image via Twitter.